When her twin sister Shannon gets married, Cat decides it is time to move out on her own and get a taste of the world to help satisfy her wild-child nature. Cat is angry at God and set to distance herself from Him and from the family that loves her. Associate Pastor Chase cares deeply for the O'Bryen family and hates to see Cat so hurt and lost. When the family asks him to befriend Cat he is more than willing to help this lost soul find her way back to the God who loves her more than anyone ever could. What Chase doesn't count on is the attraction that they both have for each other. 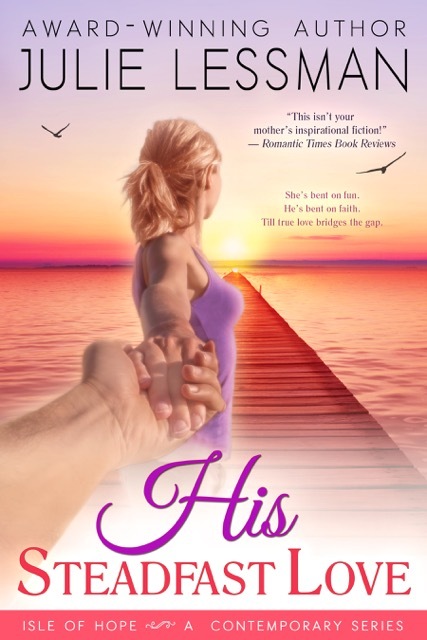 But Chase has vowed to never care for another woman that doesn't share his deep faith and Cat is definitely off-limits in the romance department! Will Chase be able to help Cat see that God really does love her and that the path that she is walking can only lead to heartache and pain? OH MY GOODNESS! I love Cat's story! I'm a sucker for Prodigal stories anyway. I love to see how a wayward child of God finds their way back to the Savior. Cat's feelings of never adding up, and her bitterness towards her pastor father are totally believable and heart-breaking. As with all of Julie Lessman's stories, the passion between characters is oh so swoon-worthy! We get to see how Tess and Ben are doing in their newly-married life and my is Tess a firecracker! We also get to read a couple of steamy scenes with Shannon and Sam(get me a fan please! Whew!!). And WHOA, Chase and Cat? Oh my! Those two belong together, but not before Cat is reconciled with the Savior who never lets us go and continually shows His steadfast love even when His child walks away for a time. A perfect ending to the series and a perfect story of Christ bringing one of His own back into the fold. I loved it! UPDATE: I read this the first time to help edit the book. I then purchased the final copy and reread it. I loved it all over again! I got thrills and chills just as much(and maybe more) than reading it through the first time! I love that this story renewed my hope for those of us who have a Prodigal in our lives. Yes, this is my favorite of this series! JULES!!! OH. MY. GOODNESS!! Do I love this review or what??? You are THE BEST, and now even I want to reread the book!! ;) THANK YOU! !